3rd Annual UPMMAS Frag Swap! March 7th, 2015! 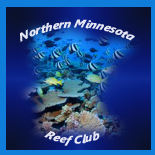 Announcing the Red River Reef and Reptile Expo (Fargo, ND)! Nice little shout-out from Gary on ReefThreads!